The only thing I love more than gold is Christmas, so to prepare for the convergence of my two favorite things, I've been stocking up on a few gold goodies for the holidays. All of the items above are less than $40! I am loving gold as well! 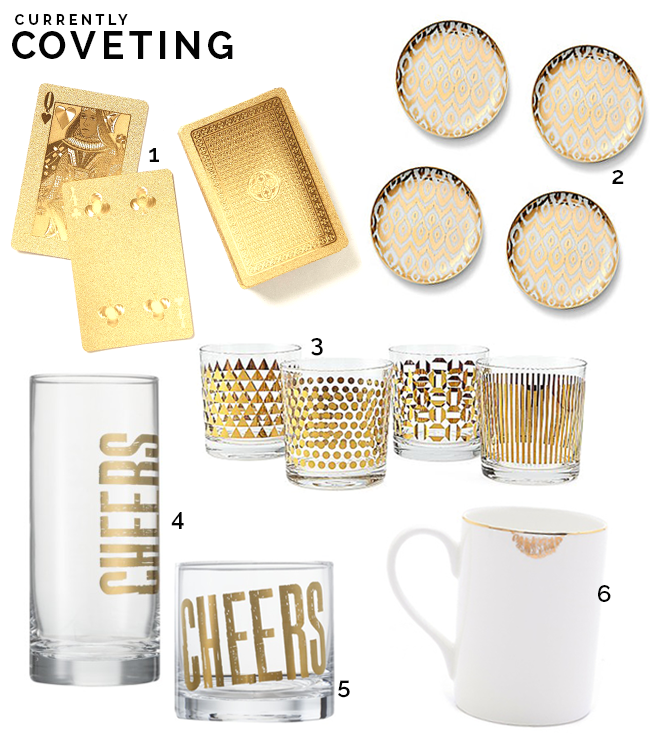 Target has so many gold decor items this year....I want them all! Really loving the West Elm glassware. I've had my eye on those playing cards! Love them.